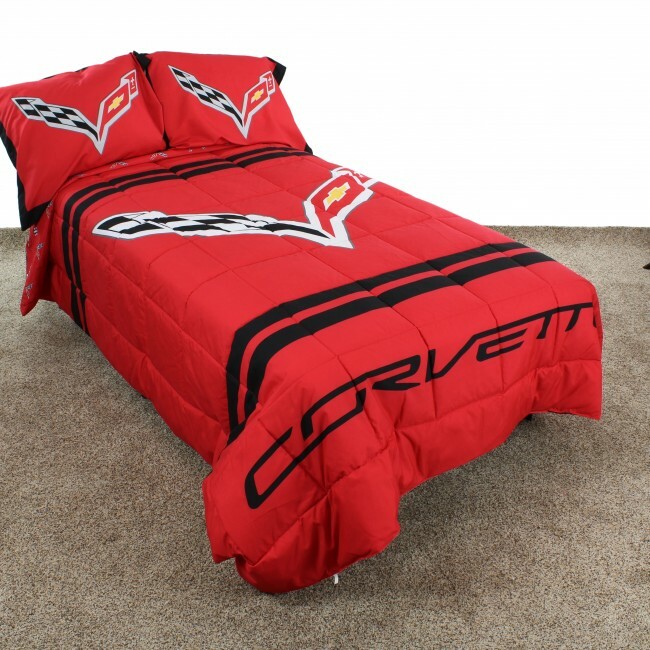 This Corvette comforter set includes a reversible comforter and pillow sham(s). 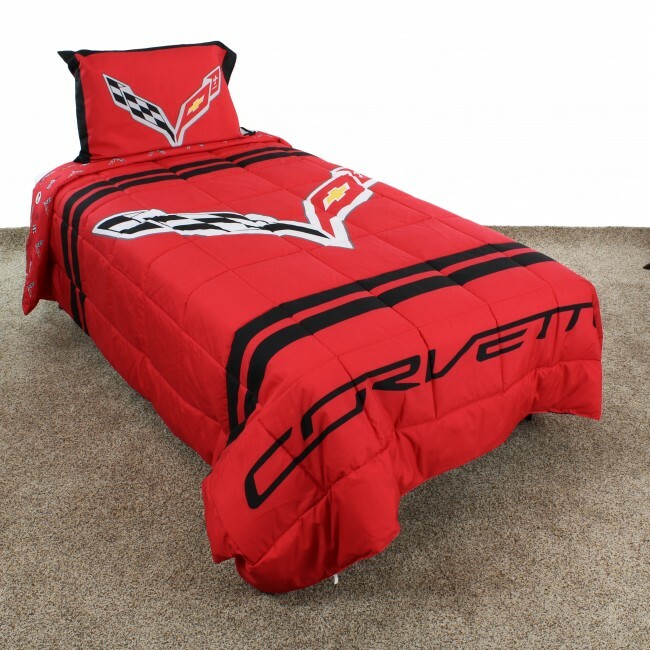 The comforter has the C7 crossed flags emblem printed on one side, and emblems from all seven Corvette generations printed on the other, giving you a truly reversible comforter with two unique looks. Sham(s) are printed with the C7 crossed flags emblem. Available in Twin, Full and Queen sizes. Twin size includes one pillow sham. Full and Queen sizes include two pillow shams. 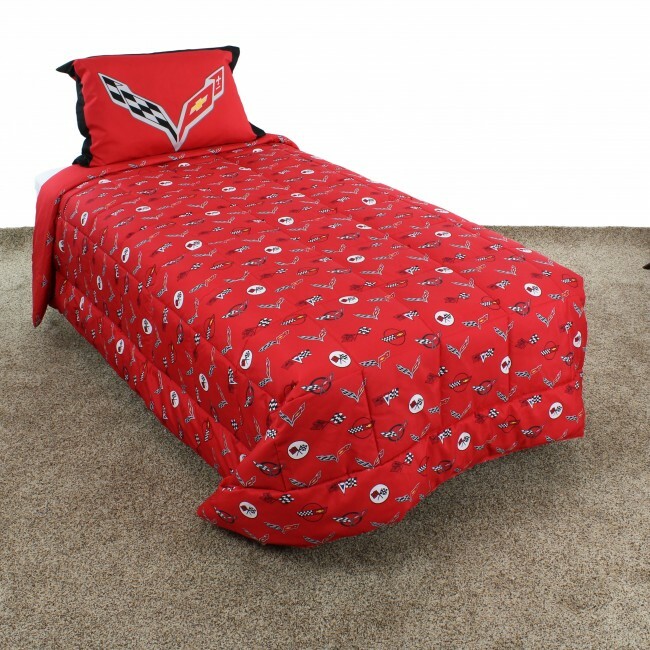 All items are 100% cotton sateen 200 thread count for a softer feel.